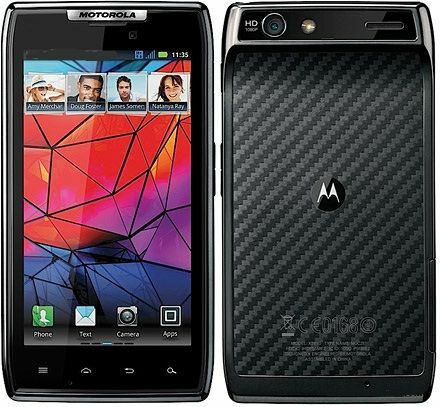 Motorola Droid RAZR XT910 can now be updated to Android 4.1 Jelly Bean, based on CyanogenMod 10 custom firmware – all thanks to the developers community. Almost everything works great on this ROM and you can update to it like any other custom ROM on your phone. No announcements from Motorola yet. In this tutorial, we will guide you through the process of how to install CyanogenMod 10 (CM10) Jelly Bean 4.1 firmware on Droid RAZR XT910 with complete steps. Backup all your data as this tutorial will wipe your personal settings and apps. Let’s proceed with the tutorial now. Make sure you have installed all your USB drivers for the Motorola Milestone to connect it with the computer.Apart from just the USB drivers, there are a few more things that you need to take care of. Now, let’s proceed with the tutorial below and update your Droid RAZR XT910 to CM10 Jelly Bean 4.1. We have put together a detailed step-by-step instructions guide on how to install CM10 Android 4.1 Jelly Bean on Droid RAZR XT910. Please read every line carefully below. We suggest, read the tutorial once before actually performing it on your phone. This CM10 tutorial is only for Droid RAZR XT910. Please don’t try this on any other variants of the phone. Make sure ClockworkMod Recovery is installed and your Droid RAZR XT910 is ROOTED. Step 1 – Download CM10 Android 4.1 Jelly Bean for Droid RAZR XT910 to your computer. Step 2 – Connect and mount your Droid RAZR XT910 USB (mass) memory on your computer using the USB cable. Step 3 – Now copy/paste the CM10 ROM zip file to your SD card. Make sure the files are in the SD card root. Step 4 – Download ROM Manager app from Google Play Store. Step 5 – Open ROM Manager app, and tap “Reboot into Recovery” to boot into Recovery Mode. Step 6 – In ClockworkMod recovery, wipe data first. Then scroll down to “flash zip from SD card” and press the power button to select it. Step 8 – Press the power button again and select “choose zip from sdcard”. Step 7 –Now using your volume keys, navigate to CM10 ROM zip file and select it using the power button. Confirm the installation on the next screen and the installation procedure should start now. Step 8 – After the installation completes, go to “+++++Go Back” and reboot the phone by selecting “reboot system now” from the recovery menu. The phone will boot now and it might take about 5 minutes to boot on your first time. So, please wait. That’s it! Your Droid RAZR XT910 should now have CM10 Jelly Bean 4.1 installed on your phone! Go to Settings >About phone to verify. Como lo descargo desde esa pagina¬¬?